Our Program for healing Colitis and Crohns will set you up for a lifetime of success with these diseases. Not only will you heal all of your digestive issues, you will also benefit from our holistic approach by reaching new levels of overall health. The best part is that all this is achieved without the need for medications, supplements, pills or potions. 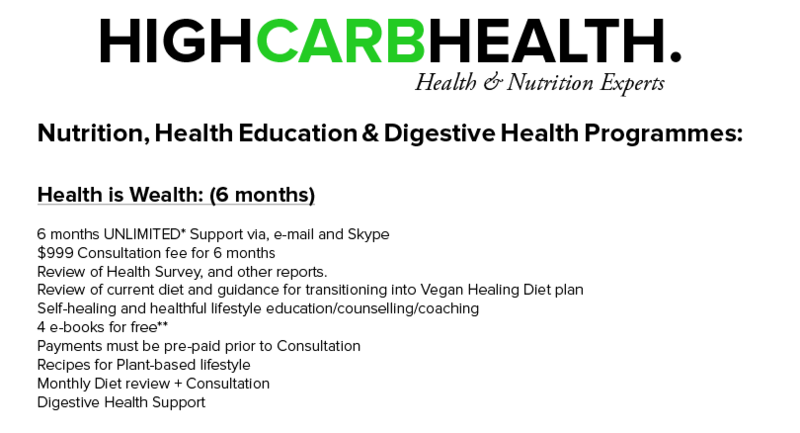 Our Health Coaching packages give you access to the latest information in the nutritional world. The key point of difference is the fact that we offer unlimited* support to all of our clients. Whether you are suffering from a chronic illness or just want to learn how to eat healthier, we can guide to toward achieving your health goals. Our goal is to educate, coach and guide you so that you can implement the knowledge you have learnt into your own lifestyle. You will be given guidelines and your daily eating monitored by us so that we can give you the best possible advice. We want you to finish working with us, safe in the knowledge that you know what real health is and how to keep it. This means you should never have to use our services again! You can really take control of your health for life. Sign up to one of our packages below to get started right away, or book in your free 30 minute consult to discuss what might be the best option for you by completing our Health Survey. * There is UNLIMITED support on Skype & e-mail consultations, however appointments will need to be made to suit both parties for each individual consultation. ** E-books are from a selected list only. In-person consultations are in Auckland, NZ only. Working hours are from Mon-Sund 9am-6pm NZT. Please ensure that before you make payment you talk to us and sign our Terms & Conditions before proceeding with the selected program. If payment has been made you have 15 days from the date of purchase to sign our Terms & Conditions. If this is not adhered to, the selected program will be non-refundable.